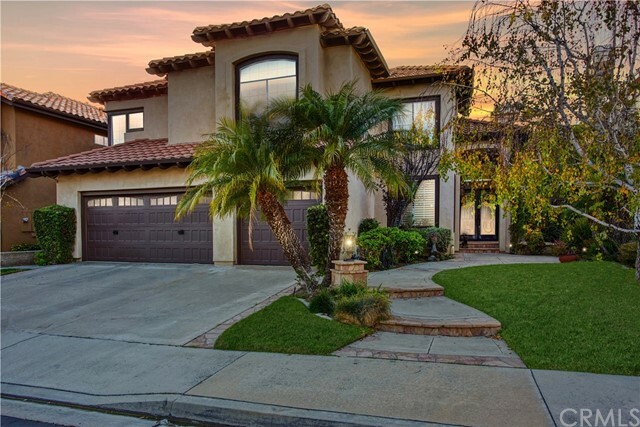 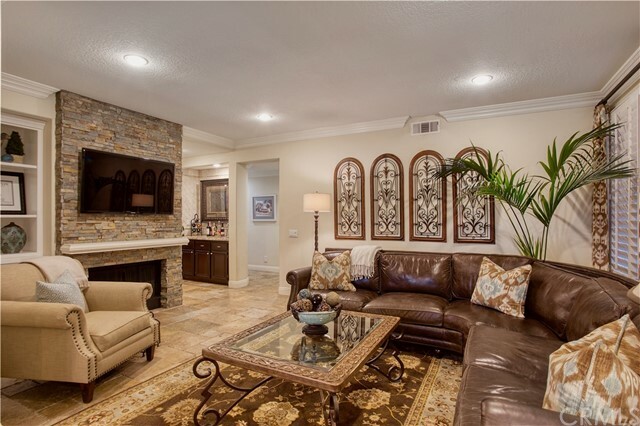 Welcome to this beautifully upgraded home in the guard gated community of Walden very close to Dove Canyon. 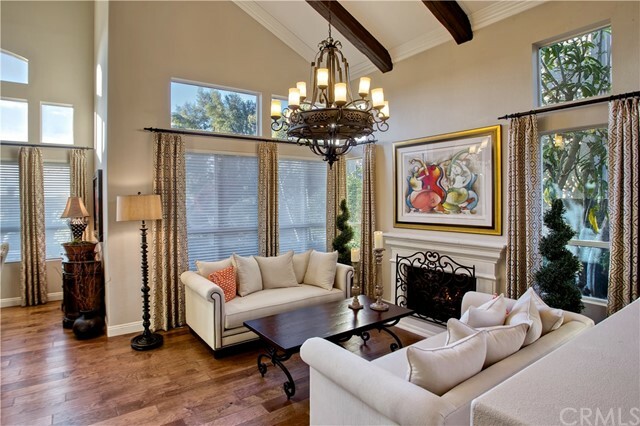 Enter through intricate glass double doors to a masterfully designed formal living room with soaring wood beamed ceilings. 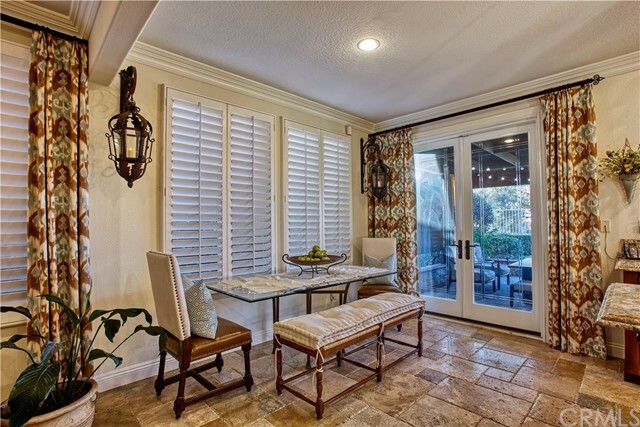 Lots of windows allow for plenty of natural light. 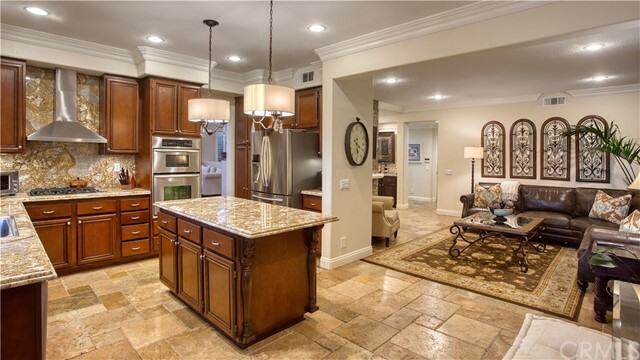 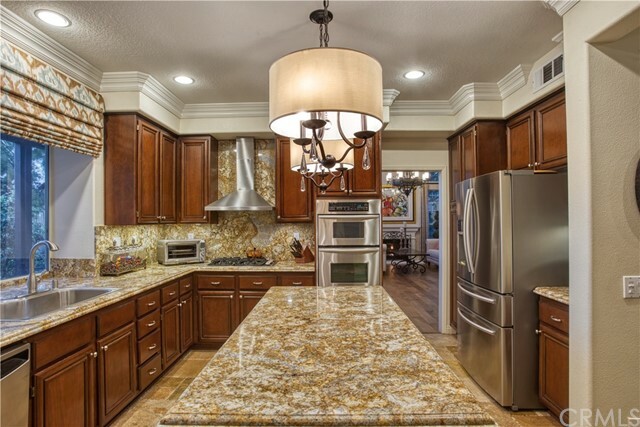 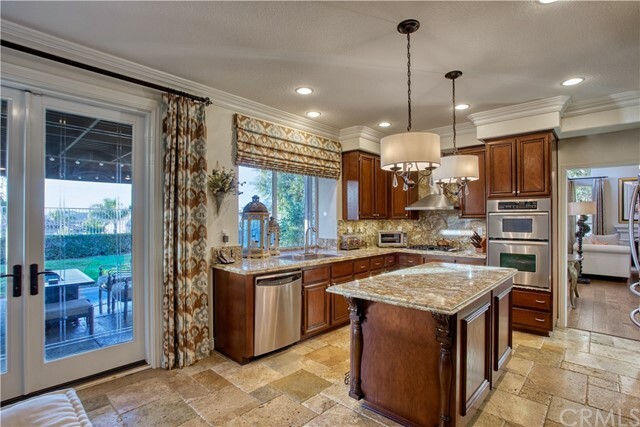 Gourmet kitchen features stainless steel appliances, double oven, granite counters and center island. 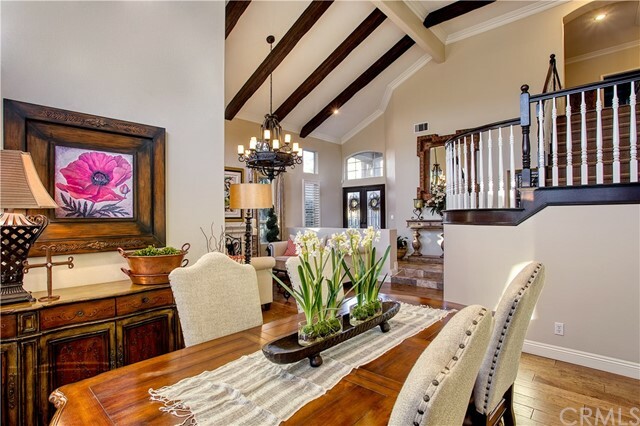 Kitchen opens to family room with stone-stacked fireplace and built-in shelving. 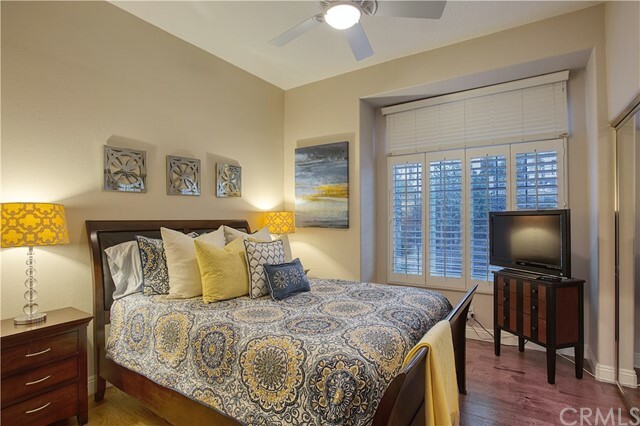 Lower level includes plantation shutters, built- ins, wood flooring, wet bar, laundry room, and bedroom. 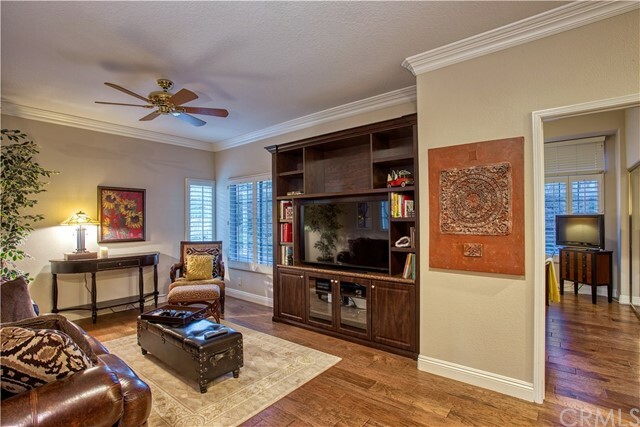 Upstairs features a bonus room with built-in entertainment center that could be a 5th bedroom. 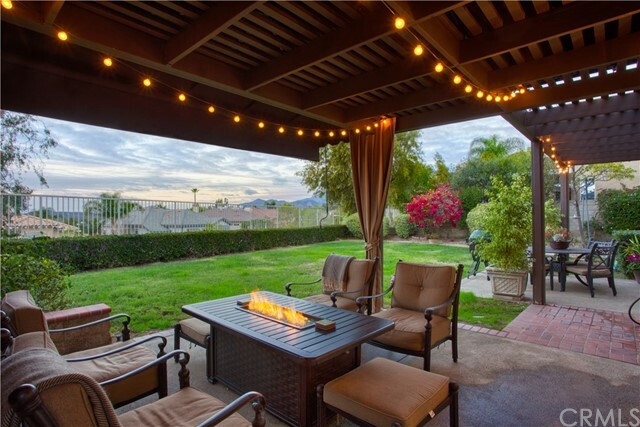 Expansive Master Suite with fireplace boasts gorgeous views of the backyard, city lights and mountains. 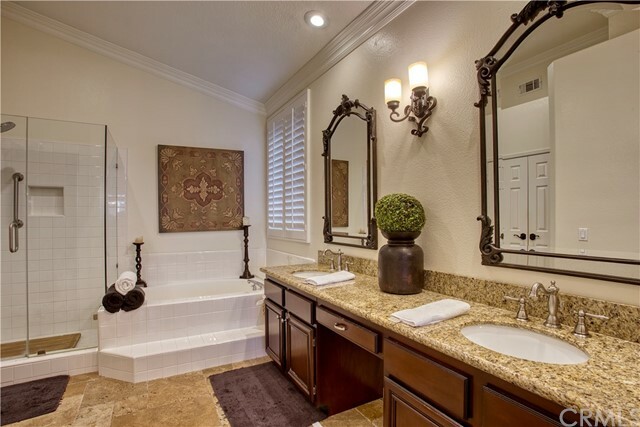 Master bath is complete with his & her double sinks, separate tub & shower and walk-in closet. 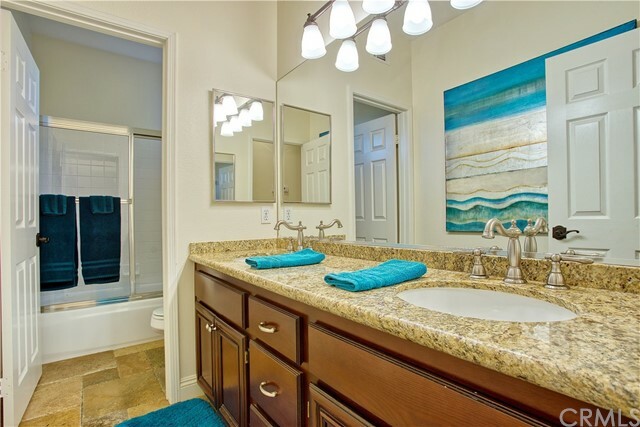 Two secondary bedrooms upstairs with sliding mirror closet doors and a full bathroom with double sink. 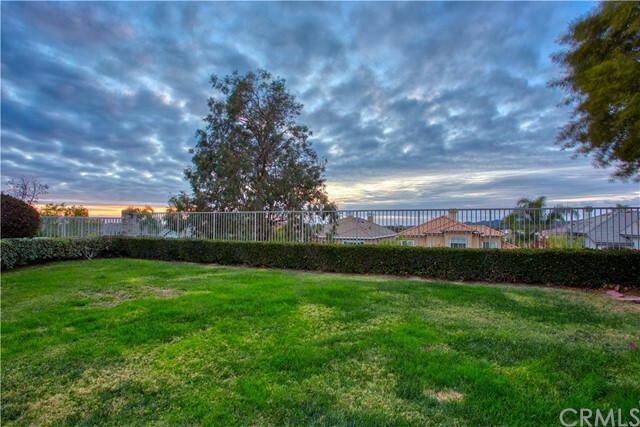 Sprawling grass backyard with covered patio has stunning panoramic views of the mountainside. 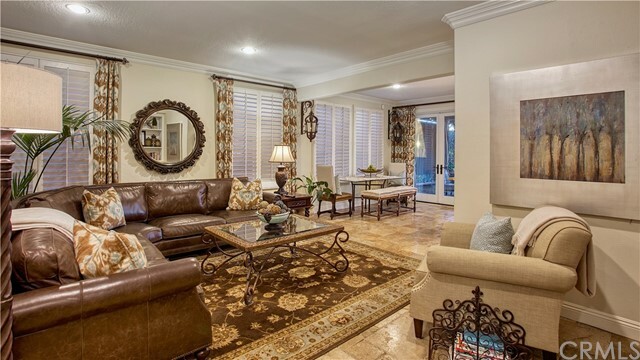 This property is located in a great gated community that includes a 2 acre bass lake, pool and spa.